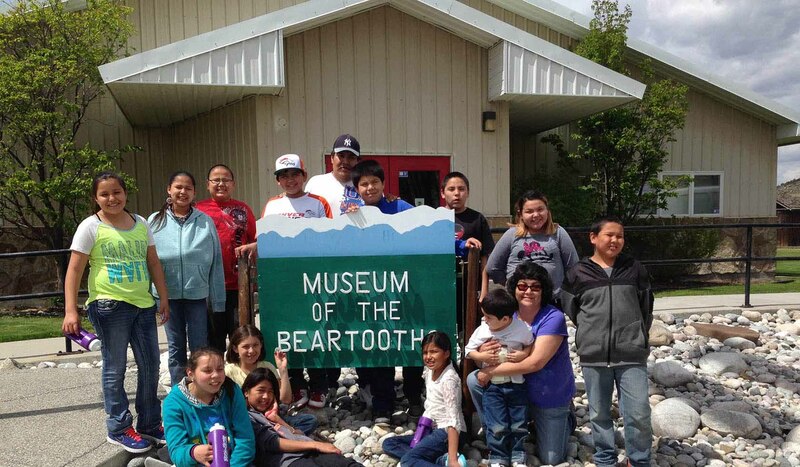 Museum of the Beartooths in Columbus reflects Stillwater County's corner of Montana History. The main building, newly constructed as a museum in 1993, outlines local history back to the 1870's. The collections reflect the broad multi-cultural mix of miners, frontiersmen, cattlemen, homesteaders and Native cultures who called Stillwater County home. The main museum building is 7,200 square feet and includes an office, gift shop, archive, collection storage and large exhibit area. Also included on the museum grounds is the T.T. Brown Schoolhouse, the Albert Johnson Tack Shop, a blacksmith shop, a 6,000 square feet building that houses special large collections and a size-able outdoor area of displayed farming equipment. Visitors may tour a 1960's Northern Pacific caboose, donated by Burlington Northern/Santa Fe Railroad Company. Indoor exhibits include a military section featuring a tribute to native Donald J. Ruhl, one of Montana's seven Congressional Medal of Honor recipients earned by his sacrificial death on Iwo Jima in 1945; A "Welcome to Stillwater County" exhibit, a "Hard Rock Mine" exhibit telling the history of mining in the county and about the Stillwater Mining Company, the only platinum and palladium mine in the Western hemisphere; "Baaxawuaahaliiko" Wheat (bread) House In The Past - a history of the second Crow Agency; and an exhibit on the 1938 Frank Robideau hanging, the second to the last legal hanging in Montana and much more. Also available is an extensive archive that includes the Jim Annin collection, thousands of photographs, local newspapers, oral histories, many original documents and journals all accessible for researchers. A museum gift shop, Columbus Mercantile Company, mirroring an early mercantile of the area offers a variety of items relating to the region's past and present including beer glasses commemorating the New Atlas Bar and books by local authors and much more.